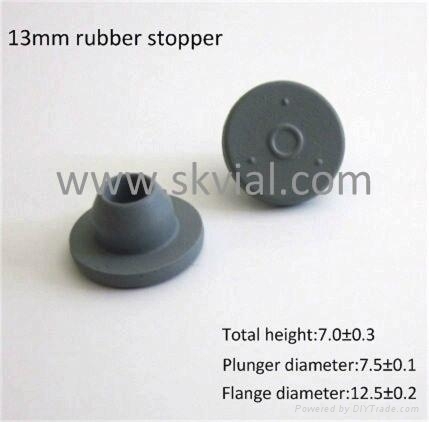 Rubber Stoppers as accessories are used to match molded glass vials or tubular glass vials or test tubes in pharmaceutical industry or laboratory. 1. Made from chlorobutyl rubber or bromobutyl or silicone rubber with wide variety of colors. 2. The specification scope covers 13mm, 20mm for injection glass vial, and 28mm, 32mm for infusion glass vial. 4. Standard packaging is double PE bag or Tyvek bag (RFS bag) firstly, then put into strong corrugated carton.